Very few companies survive in the long-term without adapting to the times. Some might pride themselves on remaining exactly the same companies they were when they were started, but very few actually are. While a business' core principles or raison d'être might be the same, business models can shift and additional functions or ideas might gain prominence. In these periods of growth, you might look at your company's original mission statement and have second thoughts. This is totally natural: Years of experience on the ground gives entrepreneurs and executives a better understanding of their brand, what it does and how it interacts with the public. In a post for Richard Male and Associates, a consulting firm, Dennis Herbert offers advice for businesses during their revision process. "One process that I use to 'update' a mission statement is somewhat simplistic but effective for me," he said. "I ask myself this question: what do we want to be when we grow up? We exist and we serve, perhaps with varying degrees of success, but have we 'grown' as an organization and does our mission statement reflect this? 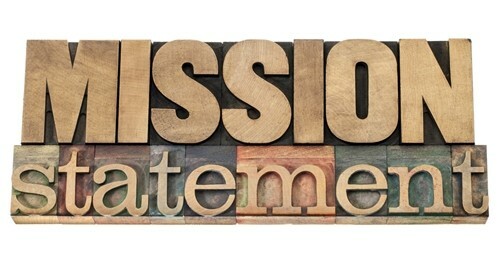 Does this mission statement reflect not only who we are but also where we are going?" New media has placed greater emphasis on refining brand strategy, so reconsidering mission statements is one way a company can assert the most dynamic articulation of its purpose. It's obviously not a task to be taken lightly, or a statement to be mutated frequently or whimsically. Revising also presents a dilemma: Does what you do inform your mission statement, or does your mission statement inform what you do? However, making your boilerplate as accurate and empathic as possible can generate luster, clarity and excitement around your company.